As the Saudi backed plan to seduce US into military intervention against Syria failed due Russia’s successful initiative about destruction Syria’s chemical weapons some new developments e.g. in form of the new Islamic Front are ongoing as well investigative reporting brings more light to the question whodunnit in Damascus on Aug. 2013. 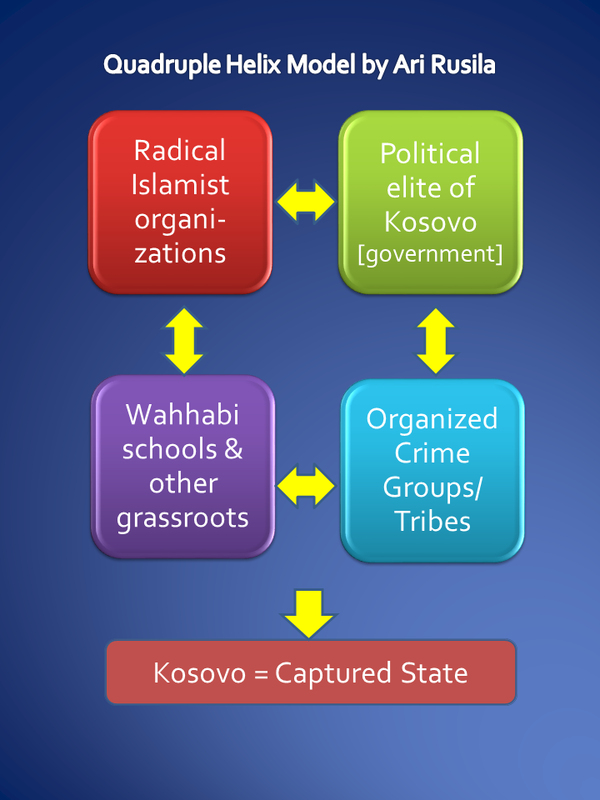 The Gulf Cooperation Council (GCC) member states—Bahrain, Kuwait, Oman, Qatar, Saudi Arabia, and the United Arab Emirates—along with certain Arab League countries, plus Turkey and Israel, have early December 2013 committed themselves to raising nearly $6 billion seed money for new Islamic Front (IF) in Syria. This coalition wants also USA to particapate onto a plan to oust the Syrian government by funding, arming, training and facilitating a front formed out of an alliance of seven “moderate” rebel factions. Beside of toppling the Assad regime the other benefit would be truncating Iran’s growing influence. $6 billion might look big investment. However the ”marketing slogan” for US involvement is ”better six billon than six trillion”. The claim is well based to the definitive Brown University study (The Costs of War project), which examined costs of the US wars in Iraq, Afghanistan, and Pakistan, the total amount for all three topped six trillion dollars . This never before released figure includes costs of direct and indirect Congressional appropriations, lost equipment, US military and foreign contractors fraud, and the cost of caring for wounded American servicemen and their families (war costs to date 4 trillion + interest rates 2 trillion for 40 years). In this sense few billions US money for IF could be a good bargain. In June 2011, the Costs of War project, a scholarly initiative of Brown University’s Watson Institute for International Studies, produced the first comprehensive analysis of a decade of wars in Afghanistan, Iraq, and Pakistan. The Costs of War Project analyzes the implications of these wars in the United States and internationally in terms of human casualties, economic costs, and civil liberties. This combined force – IF – is estimated by the CIA to number at around 75,000 fightersthat will fight under one command. What is not included to this new front is other Muslim militia—Daash or al-Nusra or the Islamic State of Iraq and the Levant, for instance—that comprise the IF’s chief rivals. According to sources in Aleppo and Damascus, the IF’s top leadership positions have been parceled out among five of the seven groups. Four days after the IF was announced, the organization released an official charter. The charter calls for an Islamic state and the implementation of sharia law, though it does not define exactly what this means. The IF is firmly against secularism, human legislation (i.e., it believes that laws come from God, not people), civil government, and a Kurdish breakaway state. The charter states that the group will secure minority rights in post-Assad Syria based on sharia, which could mean the dhimma (“protected peoples”) system, or de facto second-class citizenship for Christians and other minorities. The terror implemented by those groups who are not included to the new Islamic Front continues against civilians. Recently Al-Qaeda linked Islamists have kidnapped at least 120 Kurdish civilians from a village in Aleppo province near the border with Turkey, Observatory for Human Rights reported. The incident is the latest in the armed conflict between Syrian Kurds and Islamic factions. 51 Kurdish civilians from the towns of Manbij and Jarablus, northeast of Aleppo, have been kidnapped by Islamist fighters since the beginning of December. The armed opposition has been opportunistic and bloody from the start, targeting security forces, on and off duty, and pro-government civilians since March 2011. While there were indeed Syrian army defectors who joined the “revolution” early on in the conflict in response to government clampdowns and/or their own genuine political sentiments, much of the armed rebellion has been funded, assisted and organized from outside Syria’s borders. It is known, that non-Syrians were entering the country right from the beginning. These people were provided with wages, weapons, intelligence and training, with the expectation that a hard thrust against al-Assad’s government would unseat him in short shrift, much like what had already happened in other Arab states. This opposition has been funded and assembled by foreign foes of Syria for geopolitical gain. Their goal was to unseat a “dictator” so that they could then come in and establish their own foreign-backed “dictatorship” at the heart of the Resistance Axis. The reason this opposition has never been able to articulate a cohesive, inclusive, political platform for the Syrian people is because they are all backed by different, sometimes competing, interests, and because their goal is not a politically reformed Syria, but instead the establishment of their own power and economic bases. A new UN report states that in addition to the widely publicised chemical weapons attack on August 21 near Damascus, such weapons were probably used in four other locations in Syria between March and late August. The findings show that in at least 3 attacks, civilians as well as soldiers were targeted, which is a strong indication that the rebels were in possession of chemical weapons and that these chemical weapons were used against both Syrian government forces as well as civilians. For example assessment reletaed to CW attack against soldiers (government forces) and civilians in Khan Al Asal on 19 March 2013 (p.19 in UN report) was in response to a formal request by the Syrian government. In a letter (dated 19 March 2013), the Representative of Syria to the UN informed the Secretary-General and the President of the Security Council of its allegation that, at 0730 hours on 19 March, armed terrorist groups had fired a rocket from the Kfar De’il area towards Khan Al Asal in the Aleppo governorate. “What is written in the current report does not change but even confirms our conviction that fighters, not the Syrian government, are behind the use of chemical weapons in Syria,” Russian Permanent Envoy to the UN Vitaly Churkin said on Rossiya-24 news television channel. But the revised UN analysis, attached to a new UN report on several other alleged chemical weapons incidents in Syria, punched a new hole in the notion that the Republican Guard fired a Sarin-laden missile into Moadamiyah. The UN inspectors found no chemical weapons agents on the remnants of the crudely made missile that landed in Moadamiyah (or for that matter no Sarin anywhere else in the area). In the earlier UN report about the Aug. 21 incident, one of two UN labs had detected on a metal fragment what the lab thought was a chemical residue that can be left behind by degraded Sarin. But the new analysis withdraws that finding, an indication of how fragile the chemistry can be in getting false positives on derivative chemical residue. The two UN laboratories are now in agreement that there was neither Sarin nor possible derivatives of Sarin on the metal fragments from the Moadamiyah missile. UN Secretary-General Ban Ki-moon established the Sellstrom investigation after the Syrian government wrote to him accusing the rebels of carrying out the chemical weapons attack in Khan al-Assal. The United Nations has since received a total of 16 reports of possible chemical weapons use in Syria, mainly from the Syrian government, Britain, France and the United States. The experts looked closely at seven of those cases. The new UN report suggests that Syrian rebels have developed a capability to produce at least crude chemical weapons and delivery systems, further adding to the possibility that the Aug. 21 attack east of Damascus could have resulted from a botched rebel launch of a makeshift missile aimed at government targets or as an accident. The investigation found likely use of chemical weapons in Khan al-Assal, near the northern city of Aleppo, in March; in Saraqeb, near the northern city of Idlib, in April; and in Jobar and Ashrafiat Sahnaya, near Damascus, in August. Rebels have seized all kinds of weapons from military depots across the country, according to the United Nations. 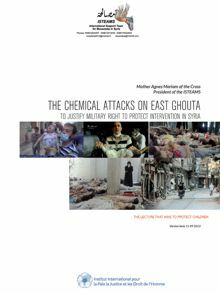 Western powers say the rebels do not have access to chemical arms. An annex to the UN report reproduced YouTube photographs of some recovered munitions, including a rocket that ‘indicatively matches’ the specifics of a 330mm calibre artillery rocket. The New York Times wrote that the existence of the rockets essentially proved that the Syrian government was responsible for the attack ‘because the weapons in question had not been previously documented or reported to be in possession of the insurgency’. Theodore Postol, a professor of technology and national security at MIT, reviewed the UN photos with a group of his colleagues and concluded that the large calibre rocket was an improvised munition that was very likely manufactured locally. The rocket in the photos, he added, fails to match the specifications of a similar but smaller rocket known to be in the Syrian arsenal. The New York Times, again relying on data in the UN report, also analysed the flight path of two of the spent rockets that were believed to have carried sarin, and concluded that the angle of descent ‘pointed directly’ to their being fired from a Syrian army base more than nine kilometres from the landing zone. However the range of the improvised rockets was ‘unlikely’ to be more than two kilometres. Read the full (final) report here: United Nations Mission to Investigate Allegations of the Use of Chemical Weapons in the Syrian Arab Republic. Besides UN report there still are questions and observations unanswered rised in ISTEAMS -report (More in Syria Chemical Weapons Attack – Whodunnit II ). Mother Agnes Mariam in her interview: One of the reasons that I would like to see the graves is because 1,466 deaths is a real “social tsunami” in the Syrian society where everybody knows everybody and everybody is related. In the case of East Ghouta, we did not even have one case show up. We did not know of one single person who is dead. You know, to have relatives claiming this – the brother, the friend – nobody did. We did not have the “echo” of the death of 1,466 people. We are asking for a neutral inquiry with the presence of witnesses from both sides, where they will open the pits, see the victims, they will take samples randomly – where they took it, how they took it, etc. Samples should be sent to 5 labs under the same conditions and precautions. Until then there is a question mark on everything. [President Obama] cited a list of what appeared to be hard-won evidence of Assad’s culpability: ‘In the days leading up to August 21st, we know that Assad’s chemical weapons personnel prepared for an attack near an area where they mix sarin gas. They distributed gas masks to their troops. Then they fired rockets from a regime-controlled area into 11 neighbourhoods that the regime has been trying to wipe clear of opposition forces.’ But in recent interviews with intelligence and military officers and consultants past and present, I found intense concern, and on occasion anger, over what was repeatedly seen as the deliberate manipulation of intelligence… A former senior intelligence official told me that the Obama administration had altered the available information – in terms of its timing and sequence – to enable the president and his advisers to make intelligence retrieved days after the attack look as if it had been picked up and analysed in real time, as the attack was happening. Hersh describes also that in Syria there is also a secret sensor system inside Syria, designed to provide early warning of any change in status of the regime’s chemical weapons arsenal. The sensors are monitored by the National Reconnaissance Office (NRO), the agency that controls all US intelligence satellites in orbit. NRO sensors have been implanted near all known chemical warfare sites in Syria. They are designed to provide constant monitoring of the movement of chemical warheads stored by the military. But far more important, in terms of early warning, is the sensors’ ability to alert US and Israeli intelligence when warheads are being loaded with sarin. A chemical warhead, once loaded with sarin, has a shelf life of a few days or less – the nerve agent begins eroding the rocket almost immediately. The sensors detected no movement in the months and days before 21 August. It is of course possible that sarin had been supplied to the Syrian army by other means, but the lack of warning meant that Washington was unable to monitor the events in Eastern Ghouta as they unfolded. The sensors had worked in the past, e.g. last December (2012) the sensor system picked up signs of what seemed to be sarin production at a chemical weapons depot. It was not immediately clear whether the Syrian army was simulating sarin production as part of an exercise or actually preparing an attack. At the time, Obama publicly warned Syria that using sarin was ‘totally unacceptable’; a similar message was also passed by diplomatic means. This time there was not the same warning. Already by late May (2013) the CIA had briefed the Obama administration on al-Nusra and its work with sarin, and had sent alarming reports that another Sunni fundamentalist group active in Syria, al-Qaida in Iraq (AQI), also understood the science of producing sarin. At the time, al-Nusra was operating in areas close to Damascus, including Eastern Ghouta. An intelligence document issued in mid-summer dealt extensively with Ziyaad Tariq Ahmed, a chemical weapons expert formerly of the Iraqi military, who was said to have moved into Syria and to be operating in Eastern Ghouta. Independently of these assessments, the Joint Chiefs of Staff, assuming that US troops might be ordered into Syria to seize the government’s stockpile of chemical agents, called for an all-source analysis of the potential threat… All Op Orders contain an intelligence threat component and technical analysts from the Central Intelligence Agency, the Defense Intelligence Agency, weapons people, and I & W [indications and warnings] people working on the problem … They concluded that the rebel forces were capable of attacking an American force with sarin because they were able to produce the lethal gas. The examination relied on signals and human intelligence, as well as the expressed intention and technical capability of the rebels. It remains to seen if GCC will succeed in enticing US into their fundrising and if the new Islamic Front will be created as significant opposition force in Syria. I doubt as local warlords are uniting to share in Saudi largesse for which their enthusiasm is probably greater than their willingness to fight. The Saudis are probably making a mistake. The artificial unity of rebel groups with their hands out for Saudi money is not going to last. They will be discredited in the eyes of more fanatical jihadis as well as Syrians in general as pawns of Saudi and other intelligence services. It might be possible that US did not implemented planned military intervention against Syria as its political leadership knew first that Syrian rebels had chemical weapons, second it knew that Al Assad regime maybe not used CW in Damascus August 2013 and third that Syrian opposition might on the end not be better alternative than Al Assad. The UN resolution, which was adopted on 27 September by the Security Council, dealt indirectly with the notion that rebel forces such as al-Nusra would also be obliged to disarm: ‘no party in Syria should use, develop, produce, acquire, stockpile, retain or transfer [chemical] weapons.’ The resolution also calls for the immediate notification of the Security Council in the event that any ‘non-state actors’ acquire chemical weapons. After Syrian CW agreement came Iran nuke deal and both these against the will of the Saudis. It seems that US has been rapidly altering its regional approach shifting weight from Saudi Arabia towards Iran. Maybe US has came conclusion that it needs more Iran to stop the growth of terror groups, networks and activities of Salafi extremists, both in and out of the Middle East – with Iran stabilization of chaotic region might be possible. Syrian Rebels Admit Chemical Attack InDamascus??? One example about rebel activities: In the video below RT talks to eyewitnesses of the latest gruesome actions from those rebels, the slaughter and beheading of children, the oldest of which is said to be 20 years old by the female witness on camera. Heads chopped off and thrown all over the road, whole families executed. Israel, Jordan and the Palestinian Authority signed trilateral Red Sea-Dead Sea pipeline plan on Dec. 9th 2013, at the headquarters of the World Bank. The ambitious and contested project aims to replenish the rapidly shrinking Dead Sea by transferring in water from the Red Sea along a 110-mile (180 km long) pipeline. The pipeline will channel 100 million cubic meters of water per annum northward from the Red Sea and will cost an estimated $300-400 million. A BOT tender for the project will be published in 2014. The pipeline will take an estimated three years to complete. The inflow of water from the Red Sea will slow the drying up of the Dead Sea and its concomitant negative effects. Israel’s energy and infrastructure minister, Silvan Shalom, said it was “a historic agreement that realises a dream of many years… [and] is of the highest diplomatic, economic, environmental and strategic importance.” He and the Palestinian and Jordanian water ministers, Shaddad Attili and Hazem al-Nasser, attended a signing ceremony in Washington. Located in the Jordan rift valley bordering Jordan to the east, and Israel and Palestine to the west, the Dead Sea is served only by the Jordan River to the North. The water level in the Dead Sea dropped from 390 metres below sea level in the 1960s to 420 metres below sea level at present and will be 450 metres below sea level by 2040. The water surface area has shrunk by a third, from 950 square kilometres to 637 square kilometres. A combination of the mineral content of the water, low content of pollens, the reduced ultraviolet component of solar radiation and the higher atmospheric pressure at this depth have specific health effects which have borne a booming spa-tourism economy. This along with the dramatic scenery and tranquil waters is why it has long been a site of tourism and refuge; King David used it as such and it was one of the world’s first health resorts for Herod the Great. According the agreed plan of pumping water from the one sea to the other – a project known as the Red-Dead Conduit, or Two Seas Canal – will help to slow the dessication of the Dead Sea, which is famous for its high levels of salt and other minerals that allow bathers to float on its surface. “The inflow of water from the Red Sea will slow the drying up of the Dead Sea,” said the Israeli government. Approximately 200 million cubic meters of water will be drawn per annum. Around 80 million cubic meters will be desalinated at a facility to be built in Aqaba facility with Israel receiving 30-50 million cubic meters of water for the Arava region and Eilat, and with Jordan receiving 30 million cubic meters of water for use in the south. Israel will also sell Jordan another 50 million cubic meters of water from the Kinneret for use in the north. The other goals of this project are the generation of electricity by utilizing the difference in elevation between the Red Sea and the Dead Sea and the development of tourism infrastructures. 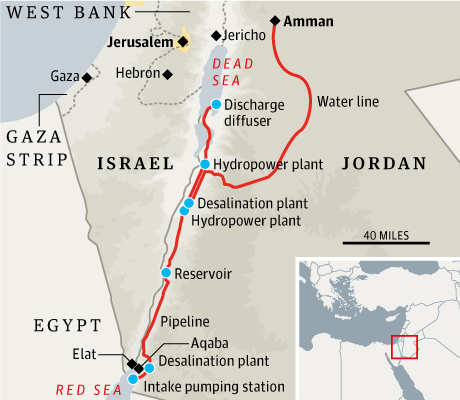 Red Sea – Dead Sea Pipeline. Images courtesy of ESA. “With no action, the sea level is expected to drop by another 150 meters until it will stabilize as a much smaller water body at a level of about 543 meters below sea level by the mid-22nd century,” the World Bank’s January 2013 report explained. 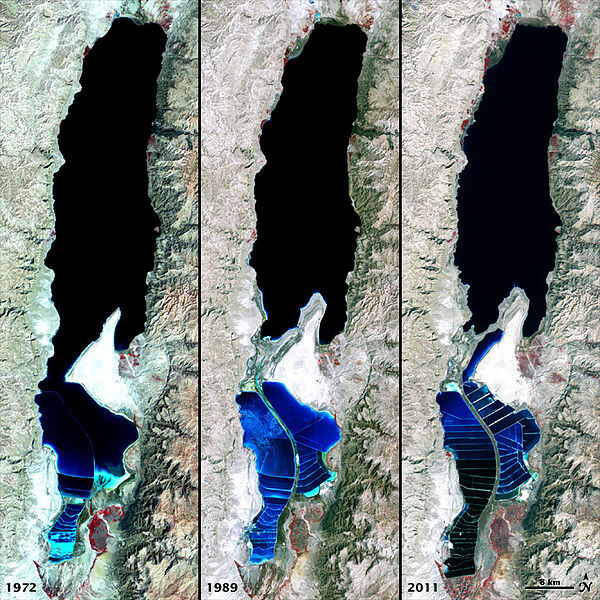 Water loss in the Dead Sea has already resulted in dangerous sinkholes, mudslides and landslides in the area and threatens the habitat of many species native to the region. While the plan is accepted by respective international authorities there is also critics inside Israeli regime. Regional environmental group Friends of the Earth Middle East and the Environmental Protection Ministry have slammed the plan as destructive to the very sea that it aims to save. The Environmental Protection Ministry likewise announced its rejection of the Red-Dead program, stressing that without more informed data and experimentation, such a plan cannot proceed. Citing experts from the Geological Survey of Israel, the ministry said that pumping more than 350 million cubic meters of seawater and brine to the Dead Sea could lead to an outbreak of bacteria and algal growth, causing disturbing odors in the region. Some environmentalists argue that the introduction of Red Sea water containing living organisms could have a catastrophic effect on the unique characteristics of the Dead Sea. The Red-Sea-Dead-Sea pipeline in one of the key recommendations advocated in a report Blue Peace: Rethinking Middle East Water. As water resources in the Middle East should be considered as a potential source of socioeconomic development and peace, a group of independent Indian experts, the Strategic Foresight Group (SFG), was mandated by Switzerland and Sweden – the Swiss Agency for Development Cooperation and the Swedish International Development Cooperation Agency – to flank a process of reflection on this issue on 2009. A series of consultations and meetings took place in 2010, i.e., in Montreux (Switzerland), in Amman (Jordan), and in Sanliurfa (Turkey). The SFG then drew up the “Blue Peace” report based on these consultations, which in end effect brought together a good hundred of experts and leaders from the Middle East. On February 2011 the report was presented in Geneva.The report, prepared with support and input from almost 100 leaders and experts from Israel, the Palestine Territories, Jordan, Lebanon, Syria, Iraq and Turkey, also stated that water crisis can be converted into an opportunity for regional peace. The Blue Peace essentially requires a comprehensive approach. This ”hydro-diplomacy” can be defined as “regional cooperation that creates dynamics of trans-boundary basin economic development through integrated water resources management.”It is necessary to act on several fronts at the same time, and yet it is possible to choose different entry points of intervention as per social and political dynamics. The report presents a roadmap for action beginning with efficient internal management, storage and distribution; the establishment of Cooperation Council for Water Resources for Iraq, Jordan, Lebanon, Syria and Turkey; and separately launching of a high level Confidence Building Initiative between Israel and the Palestinian Authority. This initiative’s key responsibility is to answer the specific challenges caused by the ongoing conflict between Israelis and Palestinians. This initiative’s key responsibility is to answer the specific challenges caused by the ongoing conflict between Israelis and Palestinians. As an example of successful cooperation, water management can also create the circumstances necessary for socioeconomic development and peace in these countries. 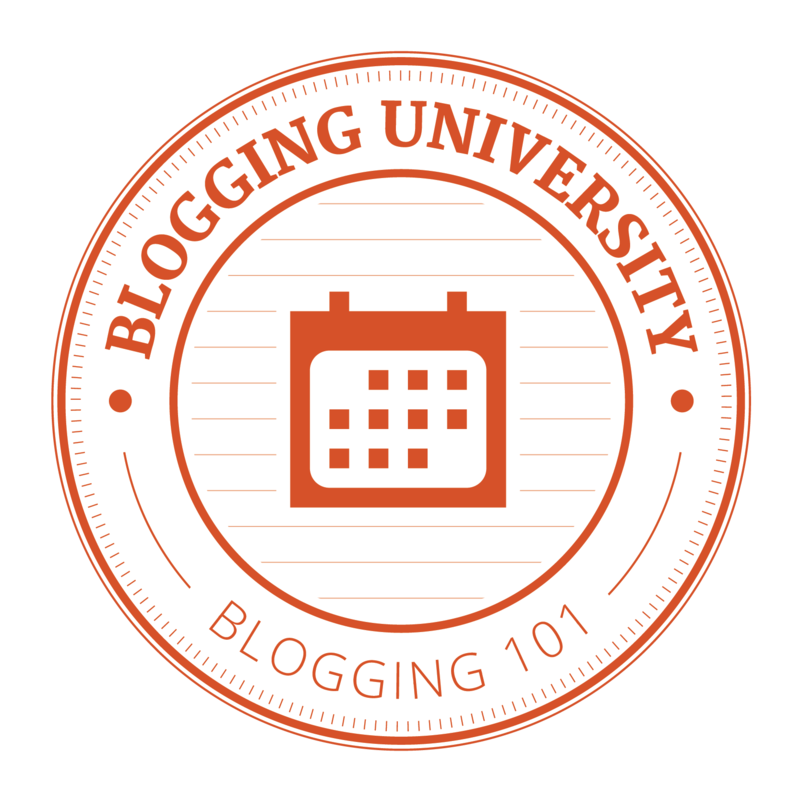 You are currently browsing the Conflicts by Ari Rusila blog archives for December, 2013.